Now that the dust has settled on another holiday season, many folks are turning to the internet to check out information on their new gifts. 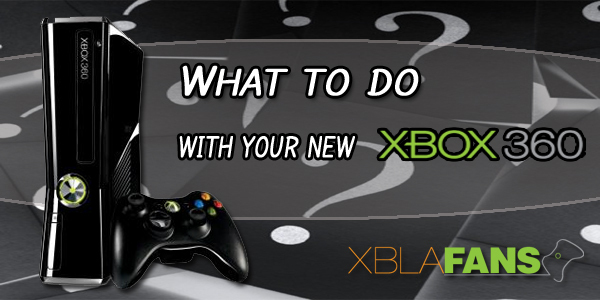 For those of you who have recently acquired a new Xbox 360, we at XBLA Fans are here to help! After you get it all set up, here’s a quick rundown of some of the things you can do to get started on the awesome path of Xbox ownership. One of the first things you should consider is getting an Xbox Live Gold Membership. You can get more information on Xbox.com, but basically without one you won’t be able to play Xbox games online against your friends, use great services like Netflix, Hulu Plus, and Youtube on your Xbox, or get great discounts on games and game add-ons, among other things. If you create your account on your Xbox, your first few accounts should come with a free month to try it out. Otherwise look to Amazon or other online sites for cheap pre-paid membership cards. Even a free account will get you access to game demos and other great content, so definitely at least sign up for that. How to do it: To sign up, turn on your Xbox, hit the guide button on the controller, and click “Join Xbox Live”. Then just follow the instructions. One of the great things about Xbox is that it’s no longer just for games. Nowadays you can even use Facebook and Twitter from your Xbox. However, the place where it really shines is with its media apps. 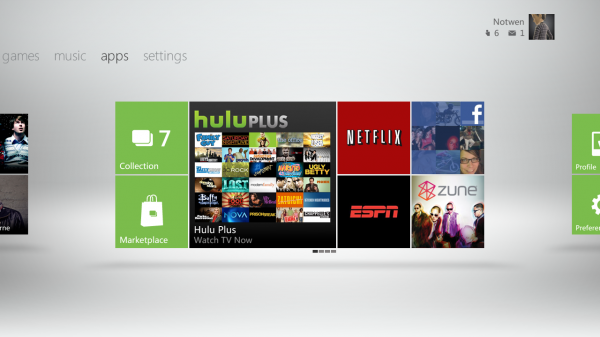 If you’re in the US, you can download great apps like Netflix, ESPN, Hulu Plus, and even Youtube straight to your Xbox. For other apps available or coming soon in the US and for a list of apps coming in other countries, check out this post. You’ll need an Xbox Live Gold account for a lot of these, as well as a membership with some of the services in questions (including but not limited to Hulu Plus and Netflix). However, things like Youtube, Facebook, and Last.fm are completely free and work great. Apps are the real way to transform your Xbox from a game console into a media center for music, movies, and more. How to do it: Turn on your Xbox and head to the apps tab. Go into the Apps Marketplace and see what’s available in your region. You may also have to have an account set up for the service or use your computer to finalize the set up (as with Netflix). 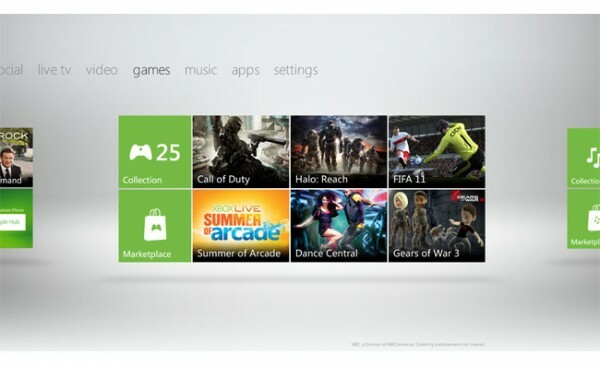 The Games Marketplace is easily our favorite place to visit on an Xbox, because that’s where you download XBLA games! That’s not all that’s on the Marketplace – you’ll also find downloadable retail “games on demand” (retail meaning a game you would normally find in a store) and all kinds of DLC for the likes of Halo: Reach, Dance Central, and plenty of other games. Of course we gotta throw in a plug for our own site: If you’re looking to get some XBLA games, take a look around XBLA Fans. We just released our game of the year awards and a list of games that are fun to play with friends, and we’ve got reviews of most games that hit the marketplace right here. Not sure what an XBLA game is? 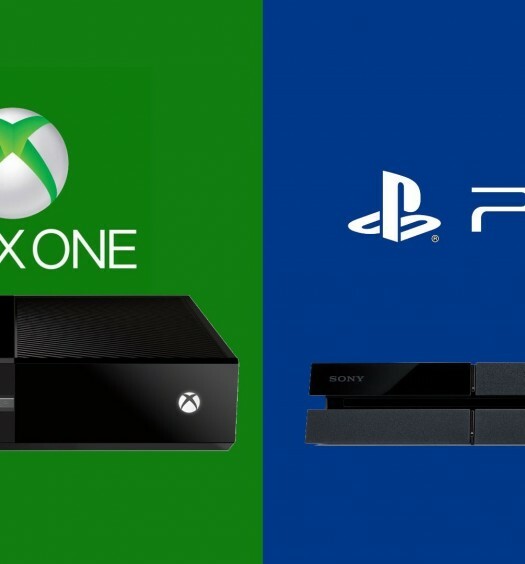 Check out this post for more info on why many people prefer these titles over retail games. How to do it: Turn on your Xbox and mosey on over to the games tab. You’ll see the Marketplace button in the lower left-hand corner (see screenshot above). Within the Marketplace you’ll find everything mentioned above. If you’re looking specifically for XBLA games, go to the games tab within the Marketplace and click on the Game Type button in the top right. You’ll see Arcade is one of the options. Indie Games is a separate but also awesome type of game that we talk about on the site. You’ll also find Arcade games back on the games tab of the Marketplace, denoted by the ARCADE or ARCADE KINECT labels at the top of the games once you drill down into a category. Just take a freakin’ look around, man. Add some friends (the XBLA Fans community is a great way to make some Xbox Live friends!). Change your avatar (head to the social tab and click on your avatar, then select Customize Avatar). Try some Bing searches. Take a look at Inside Xbox on the video tab. Check out the Video Marketplace. Check out the Music Marketplace. If you have a Kinect, try out some voice commands. There’s an incredible amount of content floating around on your dashboard just waiting to be uncovered, so click around and see what you find! From all of us here at XBLA Fans, welcome to the club! If you have any questions, look us up on either Twitter (@XBLAFans) or Facebook, and one of us will usually respond pretty quickly. The world is your oyster, new Xbox 360 owner, so go crazy!